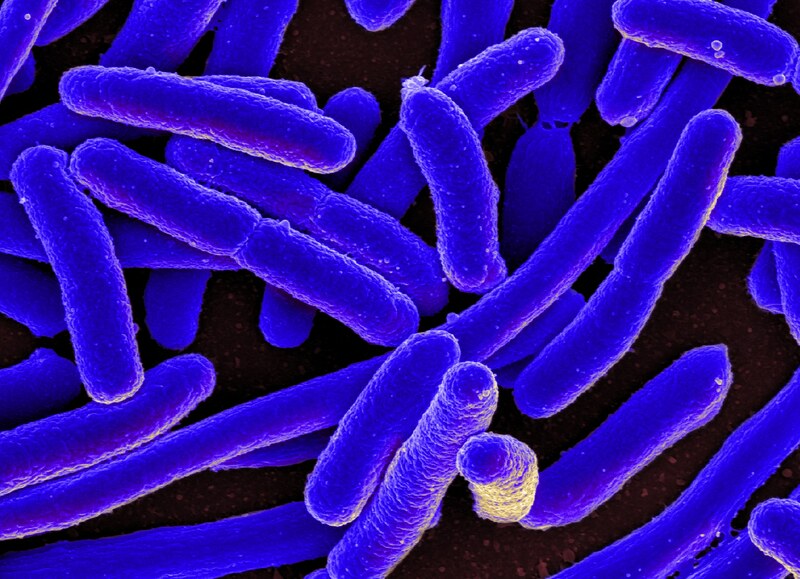 This strain of E. coli would actually make people healthier. Bacteria are often maligned as the cause of illnesses. However, one biopharmaceutical company has found a new way for bacteria to have a positive impact on our health — they’ve engineered a strain of E. coli bacteria that could be used to treat metabolism disorders caused by ammonia accumulation. Massachusetts-based pharmacy startup Synlogic creates novel medicines based on synthetic biology. Last year, they completed a patent application for a strain of genetically altered bacteria they say has an insatiable appetite for ammonia, a compound that forms naturally in the body, which it can then convert into the harmless amino acid arginine. Ammonia is usually converted by the liver into urea, which is then expelled through urination, but people with conditions like urea cycle disorders (UCDs) and hepatic encephalopathy cannot efficiently convert ammonia into urea. Estimates show UCDs as a potential cause of up to 20 percent of Sudden Infant Death Syndrome (SIDS) cases, and the body’s inability to properly process ammonia can cause both adults and children to develop dangerous, potentially fatal complications. Synlogic’s reprogrammed bacterial strains could be the solution to this problem — all patients would need to do is ingest a pill packed with 100 billion of the modified bacteria to build an army of ammonia-gobbling bacteria in their guts. Testing on human volunteers is expected to begin next year. How Would You Like Your Organism? Synlogic’s innovation is one of the many recent developments to make custom-designed organisms. In fact, in the last couple of decades, our ability to modify genes has grown by leaps and bounds to the point where it’s now a fairly simple process. The ability to remove and add DNA to organisms has brought forth a generation of creatures with improved qualities. In medicine, another Massachusetts startup is developing cancer treatment from reprogrammed salmonella bacteria, while genetically-modified adenoviruses have shown promise in cancer treatment. Customized organisms are making it big in other industries as well, with modified plant derivatives found in hygiene products, textiles, and food. Still, the power that genetic modification puts in the hands of people is controversial. Matters of ethics and safety are of primary concern, but through continued research, these could soon be worked out. At the end of the day, technology like genetic modification has at its heart the goal of improving human lives.